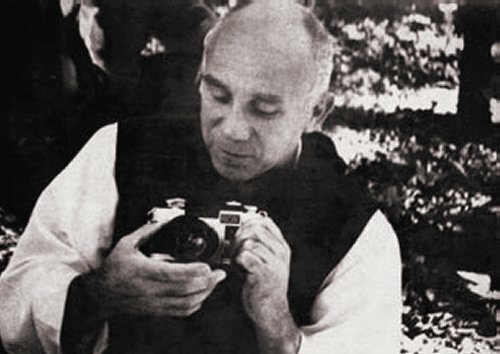 * John Jacob Niles' less accident prone setting of Thomas Merton's The Responsory features in my Chance Music homage to Catalonia. Listen to the podcast here. Chance Music will be broadcast/webcast on Future Radio 107.8 FM at 3.00pm UK time on Sunday Nov 7 with a repeat at 1.00am of the morning Nov 7 to 8 - listen here. A podcast will be available here after the broadcast. Photo of Thomas Merton via alexsothblog. Any copyrighted material on these pages is included as "fair use", for the purpose of study, review or critical analysis only, and will be removed at the request of copyright owner(s). Report broken links, missing images and errors to - overgrownpath at hotmail dot co dot uk Also on Facebook and Twitter.